Mary Trowbridge says she’s been involved with horses since she was “old enough to carry a full water bucket.” As a child she showed differing breeds throughout New England, but an Arabian was the first she owned and the breed became her lasting passion. Trowbridge has been training professionally since 1979 when she joined the ranks of Sir William Farm, under Bill Bohl. In 1991 she, along with her husband Pat, opened Trowbridge’s Ltd., a full service training, breeding and lesson facility in Bridgewater, Connecticut. Recognized as one of the leading lights of the U.S. Arabian industry, Trowbridge is now a three-time winner of the Arabian Professional Horsewoman of the Year award and a three-time winner of the Arabian (female) Saddle Seat Trainer of the Year award. She’s guided over 50 National and Reserve National Champions in open and amateur competition and has built a reputation for breeding and presenting top champions in classes as diverse as English Pleasure, Park and Saddle Seat Equitation for adults, juniors and amateurs. In 2004 Trowbridge found herself with a talented horse named Catherine the Great who was highly motivated but whose attitude and anxiety made relaxation during training a challenge. The mare would over-exert herself constantly and cool-out sessions lasted forever—not to mention her picky eating. 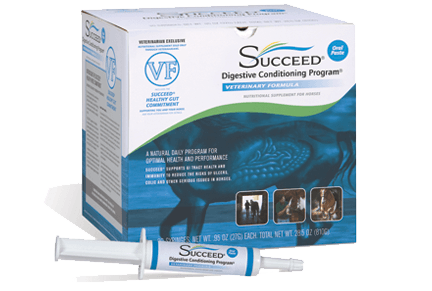 About that time, Trowbridge was approached by the owners of Freedom Health, LLC, and asked to test their new product, SUCCEED Digestive Conditioning Program. Within one week of putting Catherine on SUCCEED Trowbridge had seen a complete turnaround. 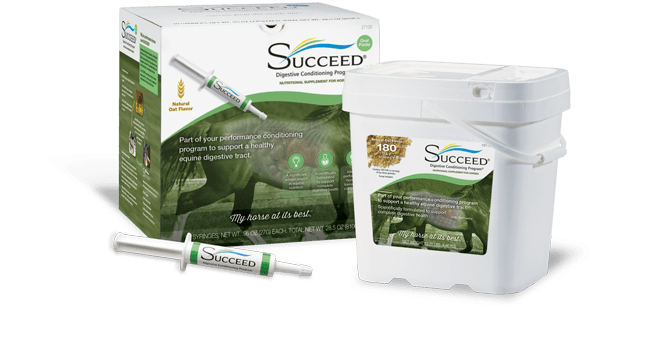 After seeing how SUCCEED helped Catherine, Trowbridge put virtually all of her show horses on the product. She began using it with Emperor Hadrian six weeks before he won a unanimous decision in the Half-Arabian English Pleasure National Championship. And she’s even used it on a 30-year old stallion who she says has never looked better.